Anyone seen Pursuit to Happyness Movie? i watched it 6 times already on the net! i still makes me cry!!! really? ik write a review on it and ill check it..thanks! Hi friend!! I ve been to Pursuit of Happines.. it made me cry too.. I watched it twice and felt the same.. 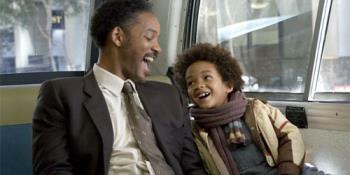 The way Will Smith acted is amazing..I bet this movie will win an award..I have no words to describe this movie..
i agree! really a very inspiring movie there! ive also read on previuos thread of your favorite actor is will smith.. were the same! thanks a lot!